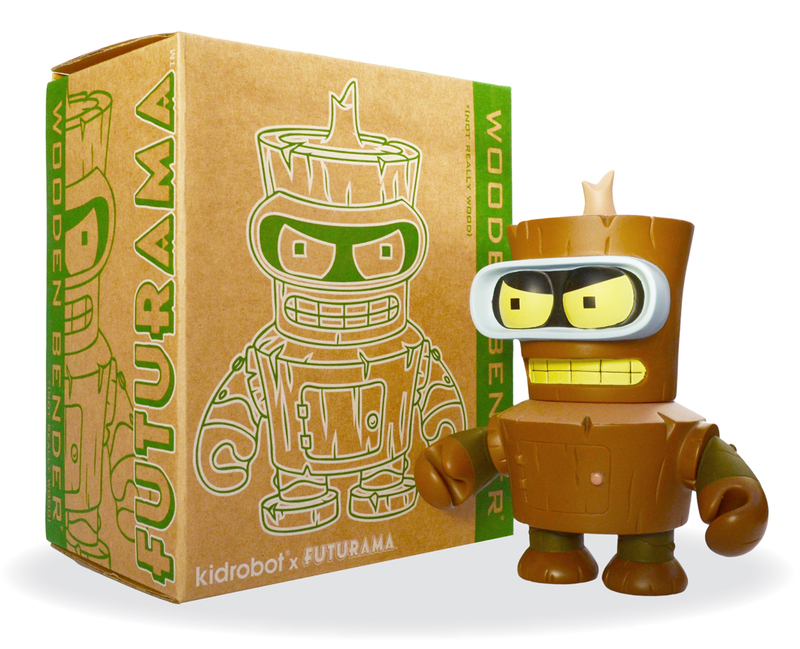 Kidrobot’s Wooden Bender | 'TAIN'T THE MEAT… IT'S THE HUMANITY! 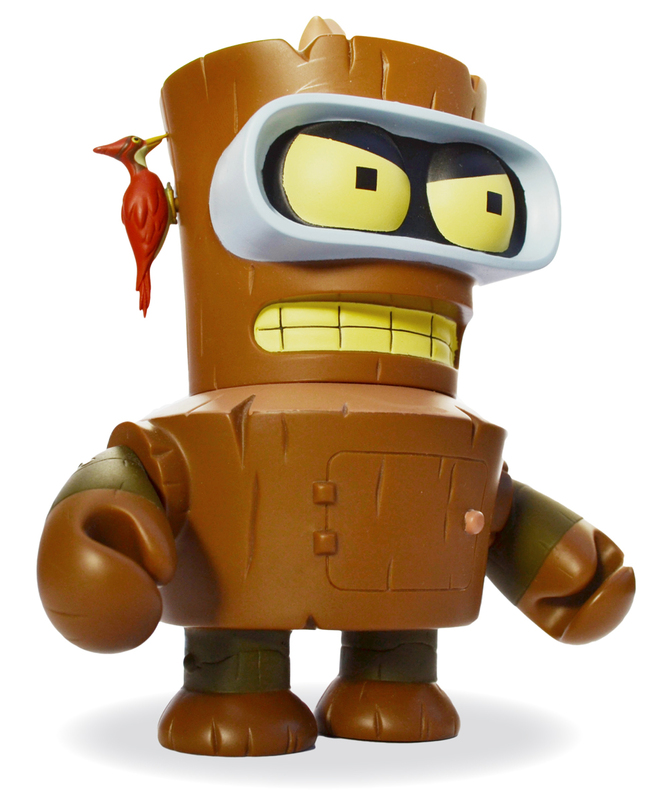 Inspired by the Obsoletely Fabulous episode from the fourth season of Futurama comes another addition to Kidrobot’s range of oversized designer vinyl toys: Wooden Bender. 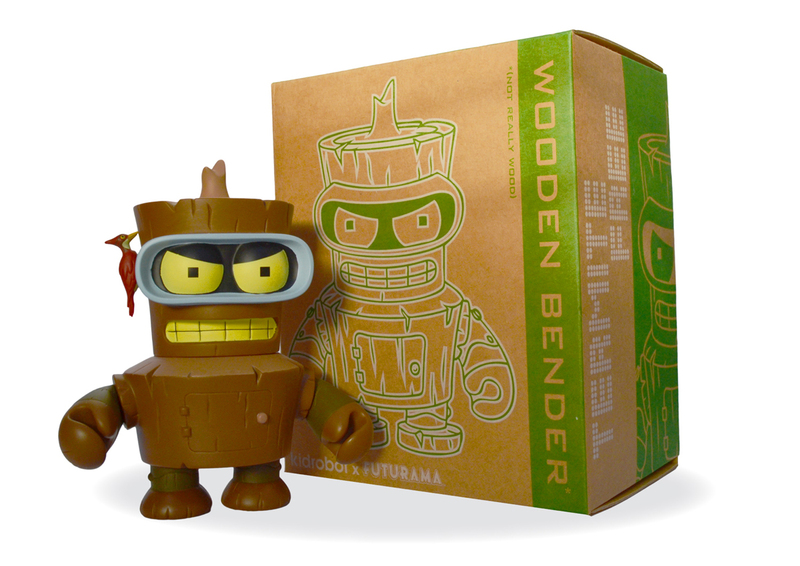 Released as a limited edition in June 2012, Wooden Bender measures six inches in height and comes with articulation to his head and arms. He also comes with one accessory: a red woodpecker attached to the side of his head. Sadly, unlike the silver version from Kidrobot’s three-inch range, his chest door doesn’t open so you’ll just have to make do with his patented angry scowl instead. Like the other figures in Kidrobot’s oversized range of toys Wooden Bender has a satisfyingly chunky, well-made feel. And continuing Kidrobot’s trend of shipping toys in packaging unique to that particular character the toy comes in a well designed two-tone brown box that guarantees the figure is ‘termite free’. As usual I’ve posted some photographs of Wooden Bender that I took myself so any prospective buyers can take a good look before deciding to shell out the £/$40 it costs to buy him. I’ve had one sitting on my desk for a while now and he fits in perfectly with the other vinyl designer toys in my collection.